A few nights ago, I was listening to a CD that has an instrumental piano song on it that I've wanted to play at my wedding since I was probably 15. I haven't heard this song in years. When I listened to it the other night, it brought back memories of that time and even my thoughts and perspective then. I thought about how easy it is when you're that age to dream of marriage and motherhood, like it'll "just happen" in the desired timeframe. And how at that age, you hear of all these God-written love stories, stories that are beautiful, but yet they can create this false sense of expectancy... this belief that if I surrender this area of my life to God, if I honor Him in the area of love and romance, then surely He will bless me... surely that blessing will equate to marriage and a prince who comes in and sweeps me off my feet. But as the years pass by and you remain single, when life doesn't happen the way you'd expect and you don't get married by "23 at the latest," then it can feel complicated and confusing. It can leave you disillusioned and hurt by God. Did you miss the mark? It's not as easy to dream. 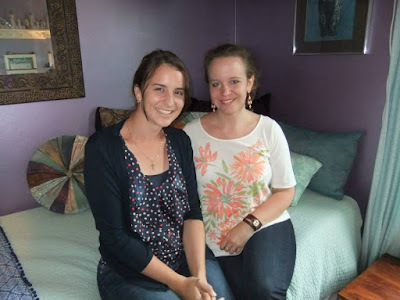 My dear Aussie friend, Karen, has been a huge blessing and encouragement to me walking through our lives as single Christian women together. We have shared our struggles and our victories. She displays such gentleness and humility, such honesty and grace. I have felt like I can open up my own heart to her, because in many ways it has reflected her heart as well. She has graciously agreed to share some of the things she has learned along her path of singleness. I asked her what she would say to that 15-year-old who, like Karen and I at that age, desires nothing but marriage and motherhood, who are big dreamers and full of expectancy for life to line up a certain way... who hear love stories and are romantics at heart. Yes, those stories have their place, but so do stories of women who have a longer season of singleness, whether that season will one day end or not. Jesus is the greatest prize, and I hope teens will grasp that truth, even when life doesn't go according to our plans and desires. I pray Karen's words are a blessing to those teens, and to those still walking this road of singleness. 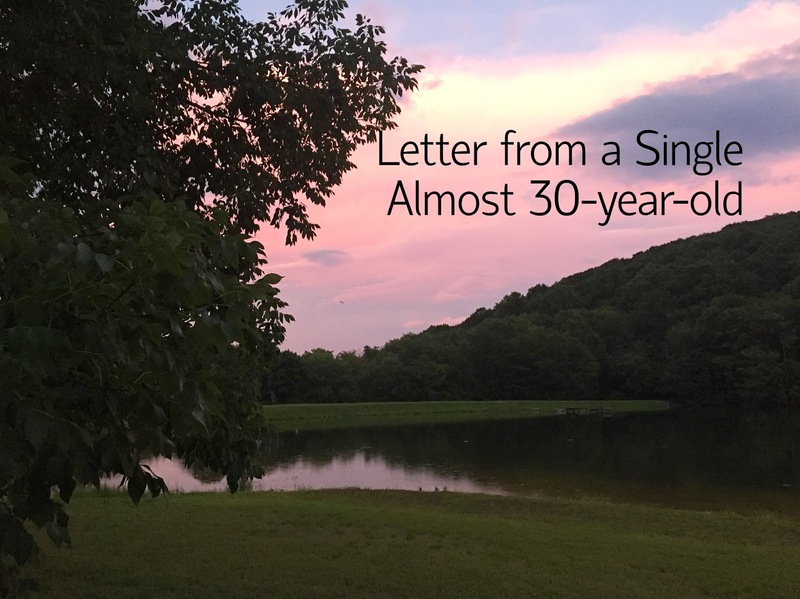 A letter from an almost 30-year-old single woman, to a 15-year-old desiring nothing but marriage and motherhood…. That is my reality….and it could be yours. I’ve learnt so many things over the last 15 years on this journey of singleness and seeking to understand God more through it all, invaluable lessons which I wouldn’t trade, not even for marriage and motherhood. And so, I want to share these things with you. It took me a long time to learn these things (and I’m still learning), but perhaps these lessons will help you in realizing that whether single or married, living with Jesus and for Jesus is worth it. Let me encourage you, not to wait and pray and hope that one day your prince will come, (that’s not my intention because as my life proves, that may not happen), but I want to encourage you to yearn for something more, something better, that you would desire Jesus and His glory above all temporary pleasures. So here they are young one, lessons I have learnt and am still learning on this journey of singleness. 1.) Marriage and motherhood is not all there is and it certainly is not the goal of this life or the life to come….Marriage and motherhood are good but there is something better….and that is Jesus…knowing Him and making Him known and proving to the world that He alone is the best most satisfying thing you could ever have or experience….Is this just the consolation prize for a spinster-in-the-making? (which I admit I have thought in times past). If so, then your view of Jesus is too small…to think that marriage and motherhood is the epitome of life and that your life would be unbearable otherwise (also what I have thought in times past), then you really don’t understand how truly amazing the Gospel is or the God we serve. This life is not all there is...there is an eternity we are living for, an eternity where we do not get married and are not given in marriage (Matthew 22:30)….And in light of eternity, this life we have is only a speck of sand compared to an endless beach of joy and pleasure in the presence of the True Lover of our souls. 2.) Don't plan your life around marriage, making decisions based on ‘what if’ and putting things on hold until ‘that day’...When I finished school all I wanted to do was get married and have kids, I was in no way career minded (and I’m still not) so I had no idea what I was to do, so I just thought I would occupy until that happened…”well I’ll do this so when I’m married”…or “I’ll pursue this so when I have kids….” That is not the way to go about making decisions…Marriage and motherhood are good and it is good to think about such things, but to build your life around a reality that may not actually become a reality, you are going to come to a point where you will become very disappointed and disillusioned with life and with God. When you make decisions only one thing should occupy your thoughts…”How can God be glorified in this situation?”. Live life fully now as if your life’s blood is meant to be spent, don't “preserve” it until marriage, pour it out now. 3.) Marriage is not a reward and singleness is not punishment. So don't think that if you dress modestly, walk in purity, read your Bible and pray you will somehow be good enough for marriage or more deserving of it than others. You probably ‘know’ this but that won’t stop such thoughts from creeping in and convincing you that God is withholding something from you that you “deserve”…Dressing modestly, reading your Bible and praying are all good things, but do those things because of your love for God alone, not because you are trying to convince Him that you are worthy of marriage. 4.) God is not concerned with your happiness as much as He is concerned with your holiness...Life is not about your happiness…The world in all its forms will tell us otherwise but we know that a life in pursuit of our own happiness will lead us down a destructive path…We need a higher calling than satisfying our emotional state and that’s pursuing God’s glory and furthering His Kingdom. And when you do pursue this path you will realize that holiness is happiness. 5.) “Take delight in the Lord, and He will give you the desires of your heart.” (Psalm 37:4)....I have clung to this verse so tightly over many, many years, and I have also held this verse out of context. Delight in God = I get marriage and motherhood...When you truly delight in God you don’t have any conditions for Him to meet, you simply delight in all that He is, not what He can give you…And when you truly delight in all that He is you will notice your truest heart’s desires changing to desire Him...yes, you still desire marriage and motherhood (as I still do), but you desire Him more...trusting that if such things will bring you deeper into Him then He will make that happen. Stop clinging to this verse as a means of getting what you want…Delight in Him truly and He will give you Himself as your heart’s truest desires. 6.) “For He satisfieth the longing soul, and filleth the hungry soul with goodness (Ps.107:9)” “Thou wilt show me the path of life. In thy presence is fullness of joy and at thy right hand are pleasures forevermore (Ps16:11)”. Married or single, only He can satisfy the deepest longings of your heart. Do not accept that He cannot satisfy the deepest longings of your heart. He created you so He knows and understands you better than you do. If He says that only He can satisfy the longing soul, then believe it. He’s not in the business of lying. 7.) Questions you will ask yourself at some stage “Did I miss the mark?”, “Should I have put myself out there more?”, “Should I wear clothes a little bit more closer fitting to catch a guy’s attention?”...The God of the universe who brought all things into being is capable of bringing two people together....if you are to marry then He will make it happen. Your anxiety comes from your doubt in God and His sovereignty. 8.) Marriage and motherhood is good, therefore God will give me these things because He is good and He delights in giving good gifts to His children…God is good, marriage and motherhood is good, God delights in giving good gifts to His children…All very true…But like I said before, there is something better than marriage and motherhood, and that is truly knowing and loving Jesus…God is so good that He won’t allow your heart to become captivated by something other than Himself, which is the greatest good thing we could ever have. God orchestrates our lives so that we have the greatest opportunity to know Him more intimately, and if that means remaining single, wouldn’t you want that? But perhaps you think, “If He is able to orchestrate all this can’t He orchestrate my life to include marriage and motherhood as a means of knowing Him more intimately as He has obviously done in the lives of others?” ….Perhaps He could, perhaps He will one day, but if you are truly desirous of His glory and seeing others see that He is of unmeasurable worth, then whether He does or He doesn’t isn’t a question you ask anymore. 9.) Stop focusing on your “misfortunes” of singleness and turn outward...there are many people who are suffering and do not have the hope that we have...Yep, it's hard when you have unfulfilled longings...But this life is short and there are those who will spend their forever in a Christ-less eternity....get a bigger picture than your own little world. Ask God to give you a Godly ambition and an eternal perspective. 10.) Some days you just need to cry...It is hard living with unfulfilled longings and a fading dream, especially when others around you seem to be having all theirs fulfilled. In these dark moments, and you will have dark moments, keep bringing them to God, tell Him honestly what you are feeling and keep preaching Truth to yourself. Ask God to prove that He is the best most satisfying thing you could ever have or experience, and keep trusting Him and His goodness. 11.) Why would God give me such desires if He doesn’t intend to fulfill them? Nothing has brought me more frequently or more passionately before God than my desire for marriage and motherhood….perhaps these desires are a mercy in order to bring us to God and to help us realize that our love for Him has been so very shallow. It’s easy to say how great God is and how much you love Him when you have everything you want. Throw in those unanswered prayers, intense longings, and your friends getting what you want and you will see just how little you loved your Lord. You don’t realize that He is all you need until He is all you have. So there you go, lessons from an almost 30-year-old who has longed for marriage and motherhood since forever and who is still waiting. I still have hope, but it is not in marriage and motherhood, as it has been for so many years, my hope is in the total and utter goodness of God and how He will not allow my heart to be captivated by something as temporary as marriage and motherhood. He wants my heart to be captivated by the source of True Joys, and I am so thankful that He has not allowed me to become a wife and mother yet. My love and desire for the Lord has grown exponentially through all of this and in the end (which is only the beginning) when you stand before Christ, the sorrow of unfulfilled longings and dashed dreams won't even compare to the immense joy and pleasure you will have for all eternity in the presence of the true Lover of your soul. ~You can read more posts I've shared on singleness by clicking here.